Blue Fin, Gold Fin, & Micro-Channel Condenser Coils In AC - Which Is Better? Blue Fin, Gold Fin, & Micro-Channel Condenser Coils In AC – Which Is Better? 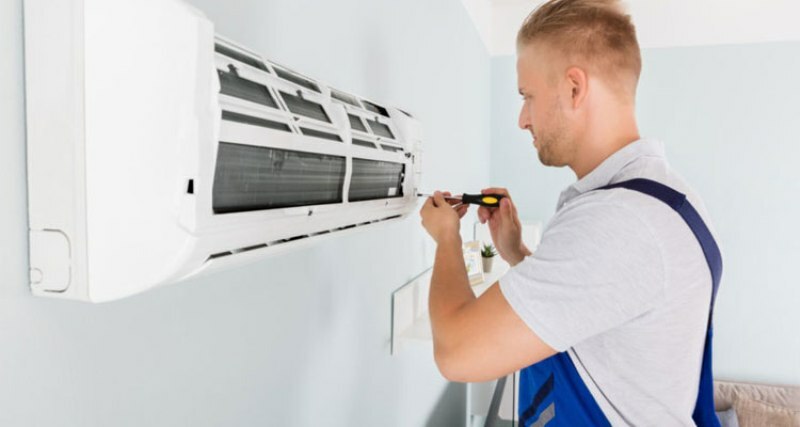 For the best performance of an Air Conditioner, the coils have a very important role. But there are so many questions arise about the qualities of the coils like which material, which type of condenser coil, what is the cost of these coils, what is their durability, etc. When you get asked by all these factors, you come across some more words like Blue Fin, Gold Fin, Micro-channel condenser coils etc. which makes you more confused. Actually, all these words are related to the cooling capacity and anti-corrosive efficacy of the Air Conditioners. Here, in this article, we are with a brief explanation of all these words related to the efficiency of coils in an AC. 1. What Is Blue Fin Condenser? The Blue fin condenser in an anti-corrosive coat over the coils to enhance the efficiency and long life of the AC. This technology was 1st used by the Voltas company to improve the efficiency of the AC coils. 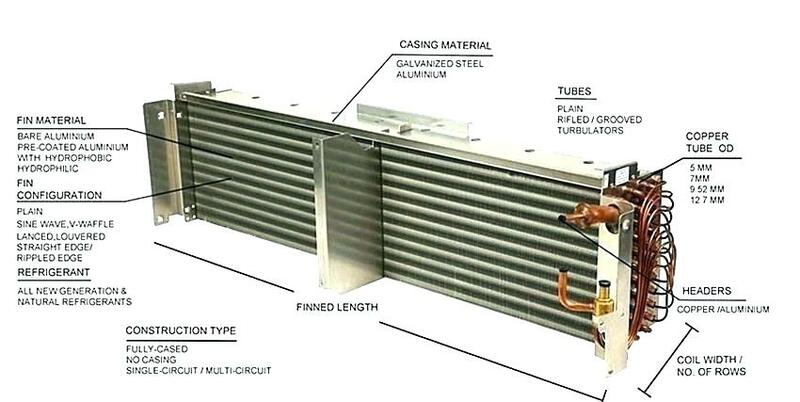 The Blue fin coat protects the condenser coils from the corrosion caused by harsh climate, moisture, and humidity. 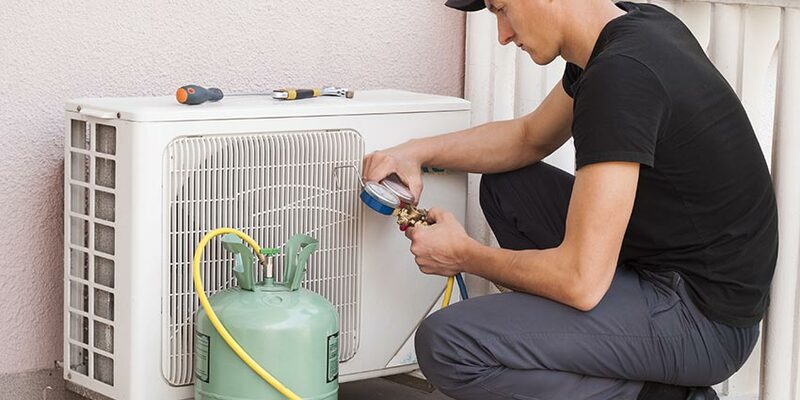 It allows the refrigerant to transfer better heat and increases the cooling capacity of the Air Conditioner. This has the epoxy coating on the coils which protects them from water droplets, accumulation of salt, and deposition of acid. The blue in technology saves the AC from corrosion by keeping the dust and grime out of the coils. This widely used in coastal areas to protect the coils from salty air. 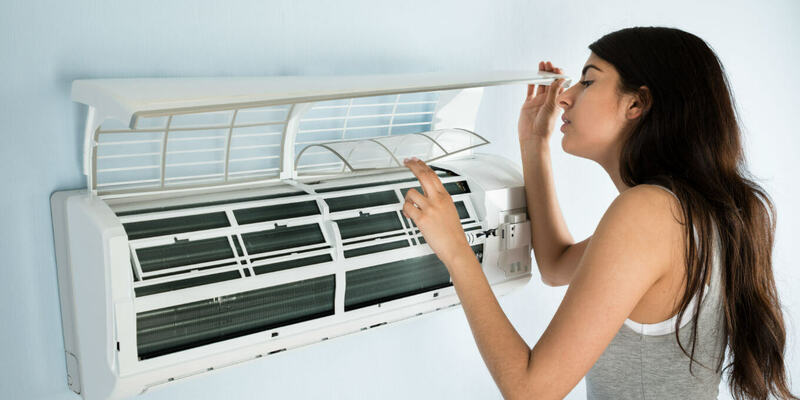 This technology also helps in the conservation of energy in your Air Conditioner. 2. What Is Gold Fin Condenser? Basically, the manufacturers use the aluminium or copper coil in the Air conditioners for refrigeration and heat transfer. In both these coils, copper is more expensive than the aluminium coils. Thereby, some of the AC manufacturers use aluminium coils to the welded copper tubes to enhance their performance . But the using of two types of metals increases the chances of galvanic corrosion which does not happen with the use of a single metal. Thus, the manufacturers use a golden hydrophilic coating to the aluminium coils. Gold fin condensers are better than the blue fin condensers. These condensers improve the heating efficiency of the air conditioners by accelerating the defrosting process. They provide greater protection to the coils of an AC without getting rust. This technology is widely used and beneficial for both the coastal and other areas all over the world due to its handy technology. They protect the coils from the accumulation of water, salt, and acid on the condenser coils of an AC. They are 100% eco-friendly and non-toxic to the environment. 3. What Is Hydrophilic Blue Fin Condenser? As we have mentioned earlier, the long life of an AC depends upon the corrosion which damages the coils during heat transfer. The corrosion causes leakage in the coils which result in a loss of refrigerant. It happens more in the coastal areas than the other areas due to the presence of salts and ozone in the coastal air. The regular cleaning of the coils can prevent the coils from damages. But it is not easy in case of cleaning the aluminium coils which are kept in the heavy cabinets for their protection. In such cases, manufacturers fuse the aluminium coils to the copper tubes which causes galvanic corrosion. The galvanic corrosion causes due to the mixing up of two different types of coils. In these situations to avoid the galvanic corrosion, the manufacturers coat the aluminium coils with a golden hydrophilic coat which is known as Hydrophilic Fin Technology. Hydrophilic technology prevents the accumulation of water on the surfaces of the fin. The water droplets sleep down without sticking on the surface of the condenser. It is also known as the epoxy coating on the coils. The hydrophilic coat on the aluminium fins lasts three times longer than the aluminium. This is the best technology to enhance the life of the coils by preventing them from corrosion. Now we have a good knowledge about the blue fin, gold fin, and the hydrophilic fin condenser coils in an AC. Now we will get a brief idea about the Microchannel in an AC. The microchannel technology was 1st introduces by the Samsung ACs for using at the coastal areas to increase the efficiency of the coils of Air Conditioners. 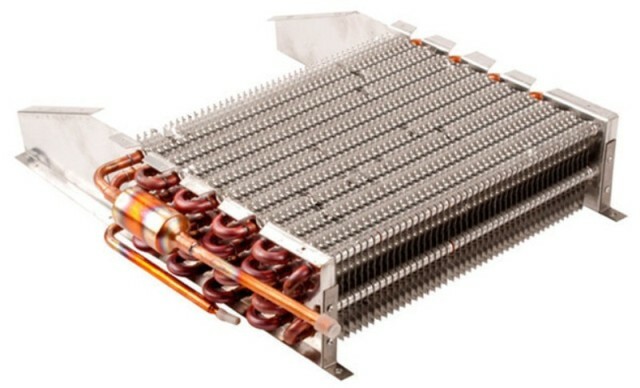 Actually, the microchannel condenser coils are the aluminium coils with multiple flat tubes. These tubes containing small channels or the microchannels through which the refrigerant flows. There is a flat microchannel tube. 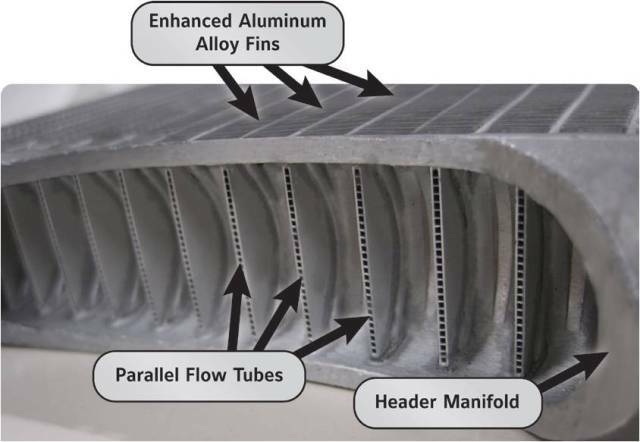 The fins located between the microchannel tubes. There are two refrigerant manifolds joined with an aluminium-zinc alloy brazing material in a braze furnace charged with nitrogen to make a completed microchannel condenser. Due to the insertion of louvered and angled fins in between the flat tubes the heat transfer gets maximized. This is an advanced technology flourished largely in recent years. Microchannel technology improves the thermal performance of the ACs. 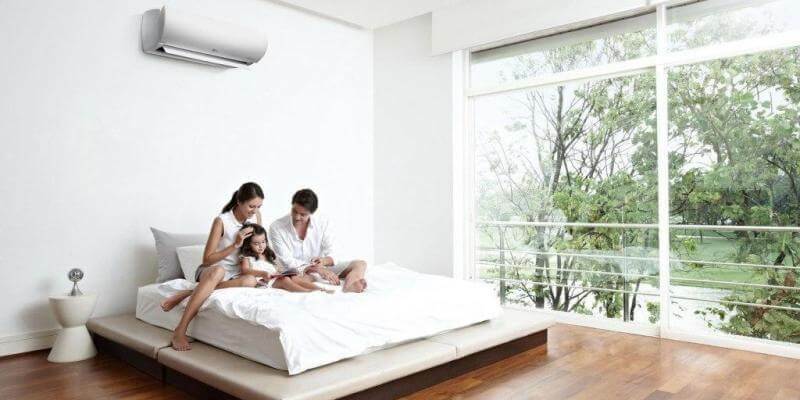 It reduces the charge of the refrigerant and improves the corrosion resistance of the air conditioners. The microchannels have the metallurgical fin-tube bond which results from the braze operation and maximizes the surface contact. As a result, it increases the heat transfer surface area and improves the heat transfer performance of the coil. The microchannel coils reduce the refrigerant charge by 75% due to having a smaller volume. They provide a better eco-friendly solution for the refrigeration system. They help to reduce global warming and the ozone depletion. There are no different or dissimilar coils present in the microchannels which protect the Air conditioners from corrosion. They are the best solutions for installation in coastal areas. The microchannel coils are durable than the blue fin and the gold fin coils. The manually brazed joints in them reduce the chances of leakage on the coils. They have the flat tubes which serve as a fin guard and help to protect the fins from damage. The microchannel coils are easy to clean and can be repaired in the field by using a two-part epoxy process. Their thickness is less than one inch which is easy for the removal of debris caught within the coil. The durability of these coils allows for pressure washing by using a broad spray pattern which is not recommended for RTPF coils. If in case there is a leakage in the coils can easily be repaired in the field by using simple processes. Each appliance has merits and demerits with lots of factors associated with them. So as with the Air conditioners also. But we need them as per our requirements. To have these appliances the cost factors a lot. 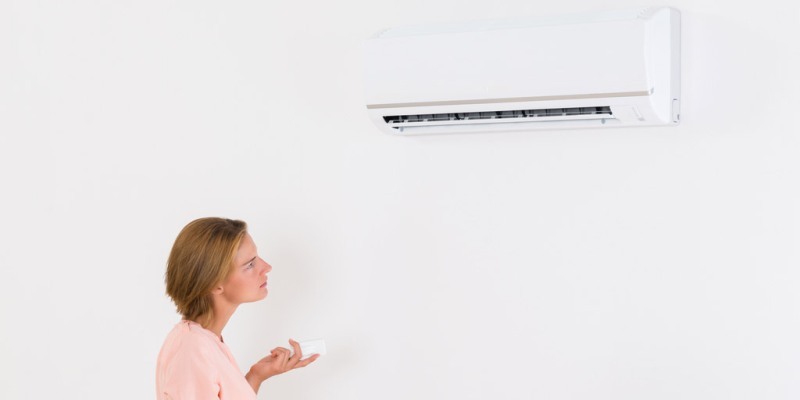 Therefore, you have to choose one of the best ACs for yourself which can fulfill all your requirements and yes, without burning your pockets. From this article, you must have gained a vivid knowledge of different types of coils used in an AC and their benefits. Now you can ask the salesman about your choice by giving a good description of them. Good luck. Aluminum AC V/S Copper AC – Which Is Best?